Presidio Isla Santa Rosa Punta de Siguenza was a Spanish fort established in 1722 on Santa Rosa Island in Pensacola, Florida. It replaced Presidio Santa Maria de Galve, which had been burned down by the French when they departed. The new Presidio was established on the north shore of Santa Rosa Island and named for the Spanish scientist and explorer Carlos de Sigüenza y Gongora. 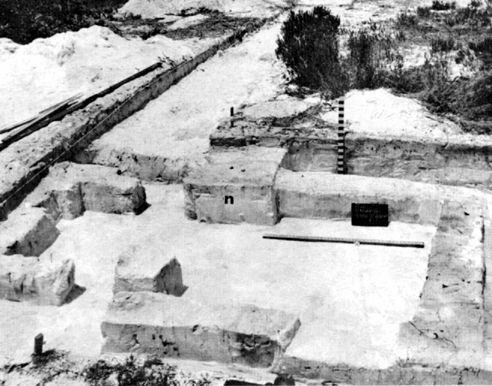 The fort was situated on the west side of the island and a village on the east side. The village consisted of about 40 buildings which included an impressive octagonal church and the governor’s house. During its lifetime, the Presidio was plagued by gulf hurricanes damaging the buildings and endangering residents. On November 3, 1752, a powerful hurricane hit the island and destroyed all but two of the Presidio buildings. it was then decided to move the Presidio to the mainland but it took until 1756 to begin the move. A new presidio was then built and called Presidio San Miguel de Panzacola. The last remnants of the Presidio were destroyed by another hurricane in 1762. The site was located just south of the old Navy Yard where Fort Pickens is now located in Pensacola on the Gulf Islands National Seashore. Presidio San Miguel de Panzacola.